Drawing and painting is something I do in response to what I am seeing. This practice of working from direct observation was established in my youth. It was probably inherited from my mother, a flower painter and my grandmother, a figurative artist, and fuelled by visits to the National Gallery and subsequent juvenile attempts to replicate the realism of the Old Masters. 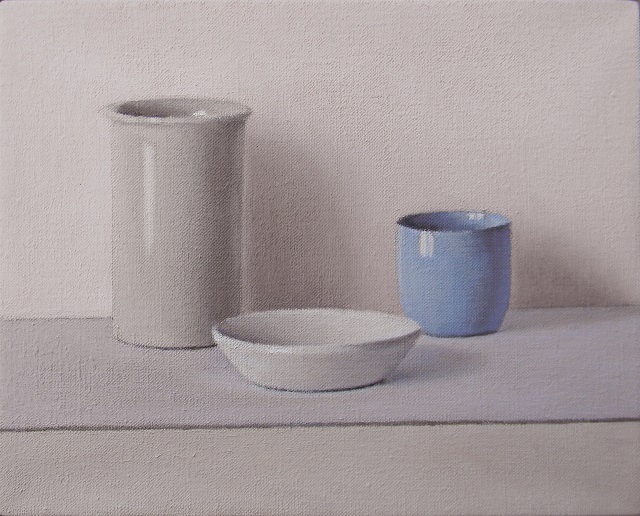 It was the Dutch 17th century painters that had particularly caught my attention and I began using oil paint and developing an art practice by setting up still lives and going out into the landscape. I had already begun going regularly to museums and art galleries to look at the art of all periods before I went to my local art school in Worthing to do my foundation course in art and design. The college had just been renamed West Sussex College of Design and there I ignored the advice that painting was a dead art and persisted in working in oils from observation. That unstoppable determination gained me a place at The Slade School. The Slade offered choices to undergraduate students as to which studio they wanted to do their fine art training in. I had set my own objective of wanting to learn to draw and develop skills in painting and opted initially to work in the figurative painting studio that was being run by Jeffrey Camp and Leonard McComb. After which I chose to go to the life rooms and completed the 4 years there. Fortunately this was in the period when the life rooms were being run by Patrick George and Euan Uglow. There the long poses of the life models enabled students to work with a discipline of sustained observation and allowing the painting the time it needs to be resolved. This was significant in the formation of my working practice. I used my time at The Slade to find my own way and was not interested in adopting current stylistic trends and careful to avoid doing any kind of pastiche. A mature style evolved from looking intensely at subject matter and learning how to use paint, to make it do what I wanted it to. Inspiration has always come from the excitement of seeing the way light falls on objects, a person or landscape and the satisfaction of being in a state of complete absorption in the activity of painting. It is this that has driven me to paint each day. The landscapes I paint are selected and the still lifes arranged to make compositions of tone, shape and colour. The objective is always an attempt to put things in their right place and create a balanced and harmonious image. To create a window into a space that conveys a sense of calm through order. 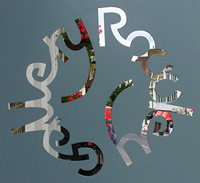 David Stubbs has exhibited still life paintings nine times in the Royal Academy Summer Exhibition and is a regular exhibitor at The Rowley Gallery. He teaches drawing, painting and printmaking at The Heatherley School of Fine Art in Chelsea. 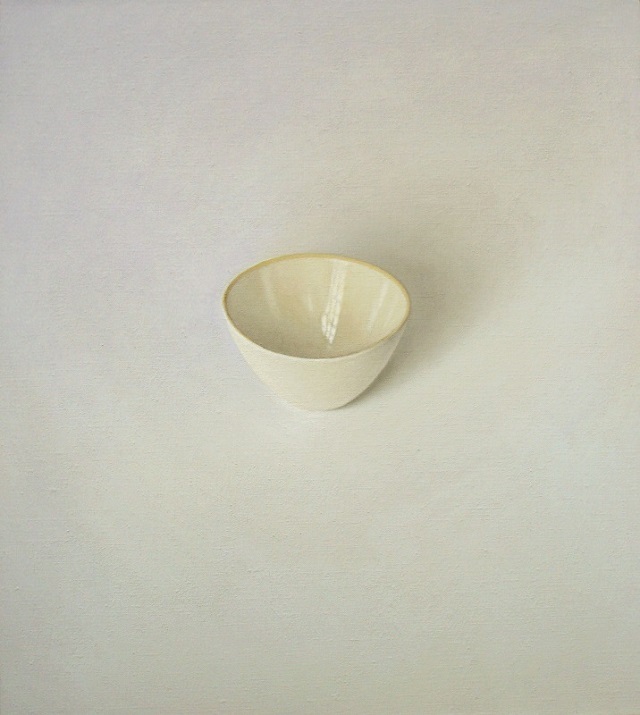 See David’s work at The Rowley Gallery where there is presently a display of his still life paintings. This entry was posted in Art and tagged David Stubbs, Heatherley School of Fine Art, Slade School of Fine Art, Still Life. Bookmark the permalink. It made me go back to see his other work, a real treat, too. All best from Sonoma County, where we are covering our citrus trees against impending frost tonight, the eve of Thanksgiving.